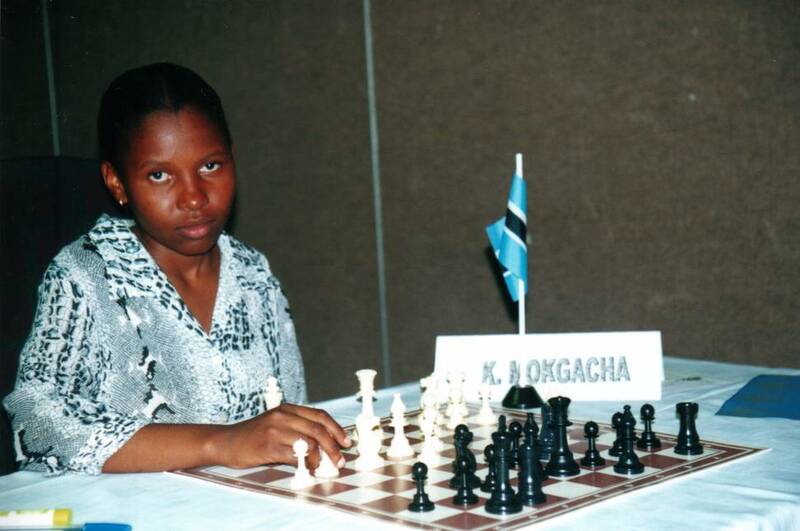 Botswana's female chess ace bags Bronze Medal in Bled! Just over a week ago in Bled, Botswana's Boikhutso Mudongo won the bronze medal at board #4 by scoring 7-1. This score is magnificent in its own right, but the 22-year old chess ace was eclipsed by the blazing 11-1 performances by Zhao Xue of China (gold) and Tatiana Kosintseva of Russia (silver). Botswana has made a lot of progress in promoting women's chess with Mudongo being the first woman in the country to gain the title of Woman's FIDE Master. She is has also paved the way for the rise of young star Keitumetse Mokgacha, the 18-year old National Champion and board #1 player at the Chess Olympiad. Hopefully Boikhutso Mudongo's success at the Olympiad can encourage female players of African descent around the world. Congratulations! In Charmova-Mudongo, Black played 12...f5!? seized the initative and soon won. WFM Boikhutso Mudongo pictured left with the rest of her Olympiad teammates: (l-r) Tshephiso Lopang, Keitumetse Mokgacha and Betty Bryno Phuthego. Photo by Jerry Bibuld.